This site uses a Paypal shopping cart. If you do not have a Paypal account, we also accept all major credit cards by phone, as well as checks. Email us for details. Free Shipping on ALL orders anywhere in the world. Orders usually ship within 48 hours via USPS. 10 songs never previously released. For a full track list and sound clips visit the Releases page. 13 original songs. For a full track list and sound clips visit the Releases page. 12 songs, including "Inside Out", "Christmas Song", and "Rivers". 6 Songs, including "It's Over", "Jamie's Song", and "Awkward Conversation". 11 songs, including "Angel Pumping Gas", "Anymore", and "Flag". 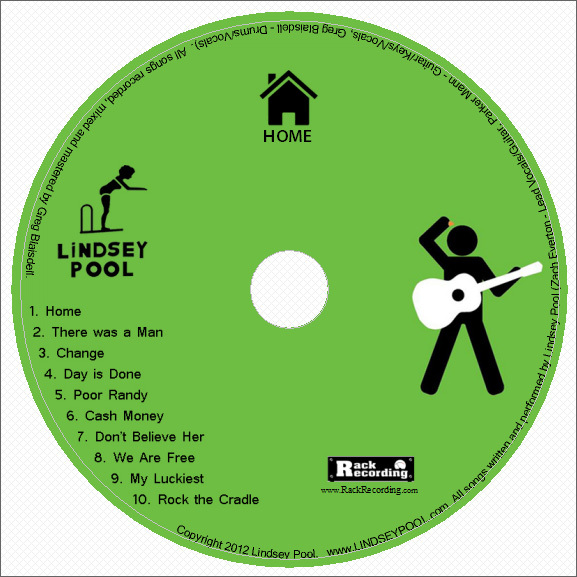 Lindsey Pool's first album, recorded before they could drive. 11 Songs. For the complete list of songs for each album, visit the Releases Page.